Planning Minister Derek Mackay has today proposed a revamp of Scotland’s planning system which he said will place more emphasis on jobs and economic benefits to help deliver sustainable economic growth. For the first time Scottish Planning Policy will include references to maps of Scotland’s wild land – drawn up by Scottish Natural Heritage. In addition, Ministers propose extending the separation distance between wind farms and cities, towns and villages. 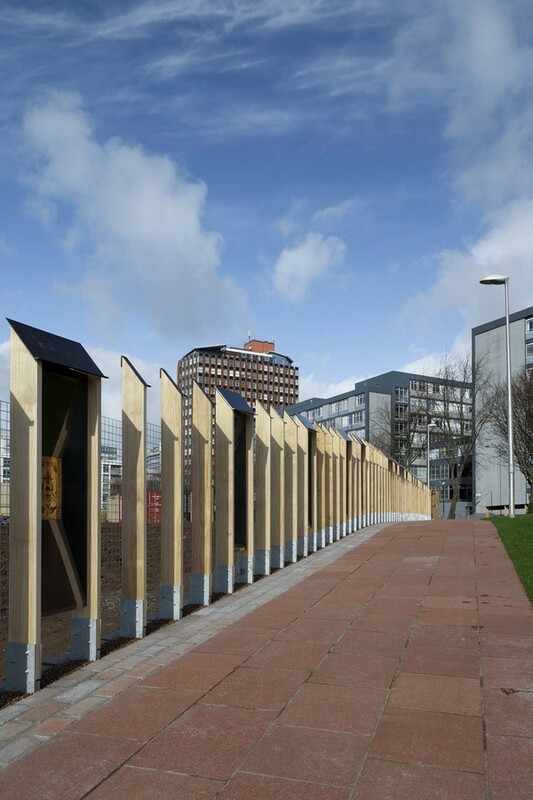 A mile-long fence has been constructed through the heart of Glasgow city centre, in a nod to the city’s medieval history. 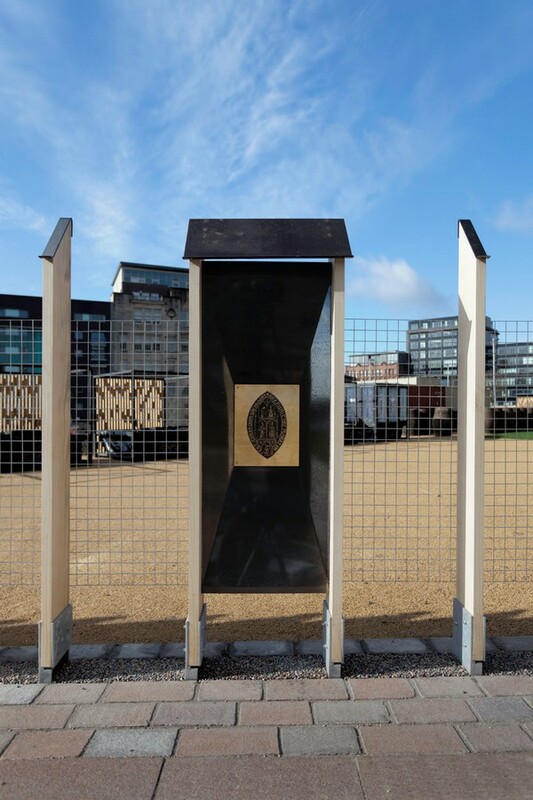 Following extensive archaeological excavations in the city centre, Glasgow City Council commissioned the installation of a fence to connect the city’s last surviving medieval street, Nicholas Street, to the historic High Street. The installation was to celebrate the multi-layered history which runs through the heart of the city. 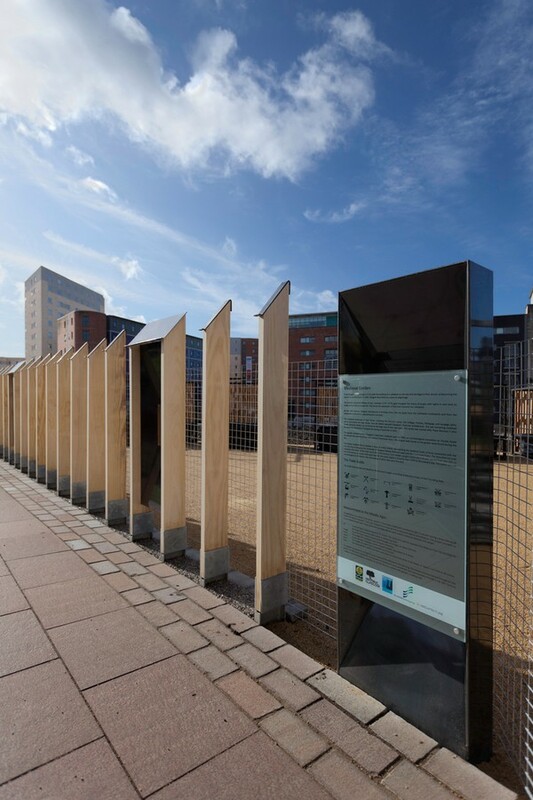 Glasgow architect ZM Architecture’s winning brief fulfilled the requirements by designing a fence that told the story of the city’s history. 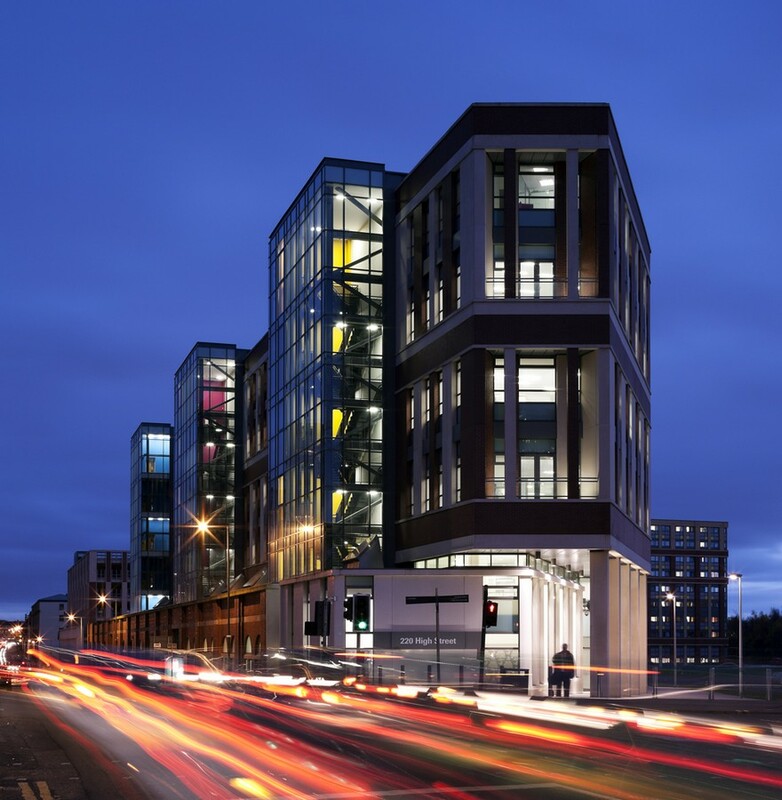 Accoya, manufactured by Accsys Technologies, was used to bring the project to life. Peter Richardson, who led the project for ZM Architecture wanted to use a material that would create a maintenance free, hardwearing, durable fence, capable of holding steel plates. Working in collaboration with timber distributors Russwood, Accoya was found to be the perfect material to match their specific requirements. 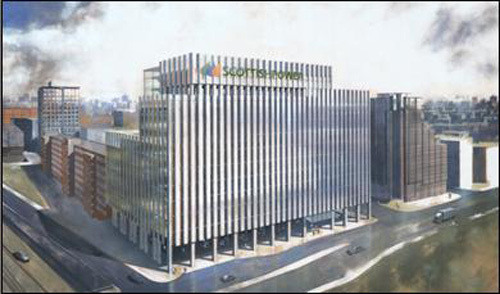 Special orders were placed with Accsys Technologies’ plant in the Netherlands to meet the requirements of the project. Accoya boards were designed to hold aloft steel plates and shields. Each board was placed two feet apart, representing a decade of time. Steel plates were slotted in between each board adorned with city trade crests, bronze casts and laser cut symbols, conveying the city’s history back to the 1210, when Nicholas Street was first established. Accoya, created by using a proprietary acetylation process on sustainably FSC sourced, legal wood, results in an attractive wood which matches or exceeds the properties of tropical hardwood. The unrivalled durability and stability of Accoya made the material ideal for an environment like Glasgow, which is susceptible to long periods of heavy, constant rain. Accoya provided the structure with unrivalled strength, ensuring the fence will remain stable. Communities along the Antonine Wall are being encouraged to play their part in finalising the new five year management plan for the World Heritage Site (WHS). The 12-week consultation, led by Historic Scotland and the five local authorities through which the Wall runs, seeks to encourage communities and all interested parties to comment on the Draft Management Plan. The plan has been drawn up following a series of stakeholder workshops and public sessions at the end of last year. The draft sets out the vision and key objectives for the management, conservation, promotion and interpretation of the Wall over the coming five year period. The 60-kilometre Antonine Wall became a World Heritage Site in 2008 and joined the Frontiers of the Roman Empire World Heritage Site, alongside Hadrian’s Wall and the German Limes. The Wall stretches from Bo’ness on the River Forth to Old Kilpatrick on the River Clyde. Since its inscription as a WHS, significant progress has been made to protect and promote the Wall. The Partners who deliver the Management Plan; Historic Scotland, East Dunbartonshire Council, Falkirk Council, Glasgow City Council, North Lanarkshire Council, and West Dunbartonshire Council – have been working jointly to deliver projects and strategies ensure the social, cultural and economic potential of the Antonine Wall is maximised in their local areas. The next five year plan aims to build on that and continue the momentum that has been created. The draft plan can be viewed and downloaded at www.historic-scotland.gov.uk/antonineconsultation and comments can be submitted via hs.awconsultations@scotland.gsi.gov.uk or by post to Patricia Weeks, Historic Scotland, Longmore House, Salisbury Place, Edinburgh EH9 1SH. Patricia Weeks, the Antonine Wall World Heritage Site Co-ordinator said: “We had some excellent stakeholder and public workshops late last year which has helped inform the draft plan. We are now seeking a thorough and constructive debate on the document to ensure the communities along the Wall can play their part in shaping the final plan which will be launched later this year.